1. Reading your water meter. 2. Not using any water for an hour or two. 3. Reading the meter again. If the reading has changed, you may have a leak. If you believe you may have a leak contact your plumber and ask them to find and repair it. You can find a licensed plumber, who is also a member of the Master Plumbers Association, at mpasa.com.au/find-a-plumber or by calling 8292 4000. 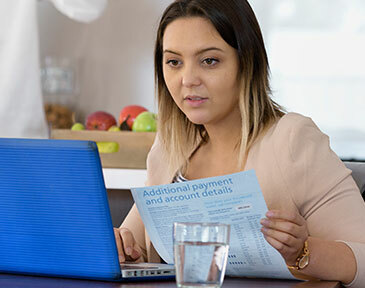 If you have a leak in your pipe work, you may be eligible for a once off allowance equal to 50 per cent of the water lost (capped at 600 kilolitres) if certain conditions are met. To apply, complete our leakage allowance form. patches of damp soil, paths (brickwork or concrete) or greener than usual lawn/garden beds on your property may indicate a concealed leak. Also check any irrigation, such as sprinklers or drippers. damp, warped or discoloured walls, floorboards or carpets inside your home may indicate a concealed leak. Drips on the side of your hot water system or evaporative air-conditioner, water pooling under the dishwasher or water damage to cupboards may also indicate a problem. A tap that drips two times per second uses around 25 litres of water a day. The most common type of leak is a running toilet cistern that can leak up to 260 litres of water per day. You can check your cistern by putting a few drops of food colouring inside it. If the colour shows in the toilet bowl without flushing, you’ve got a leak. 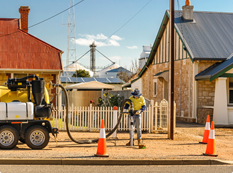 If there is leak is between the water main and the outlet riser on your meter, please report it to us here or call us on 1300 SA WATER (1300 729 283). It's important for everyone's safety that you not interfere with the meter. Your water meter remains the property of SA Water, and only authorised personnel are permitted to inspect, maintain, repair or replace it as necessary.